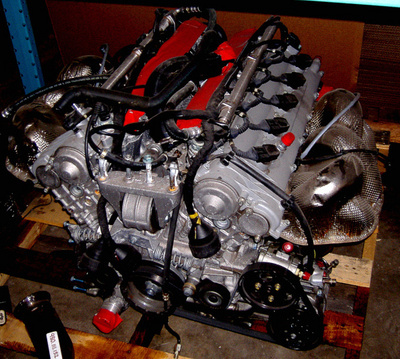 There is a Carrera GT’s V10 engine on eBay. The seller, dC Automotive, says it has clocked 6000 miles but who really can tell? 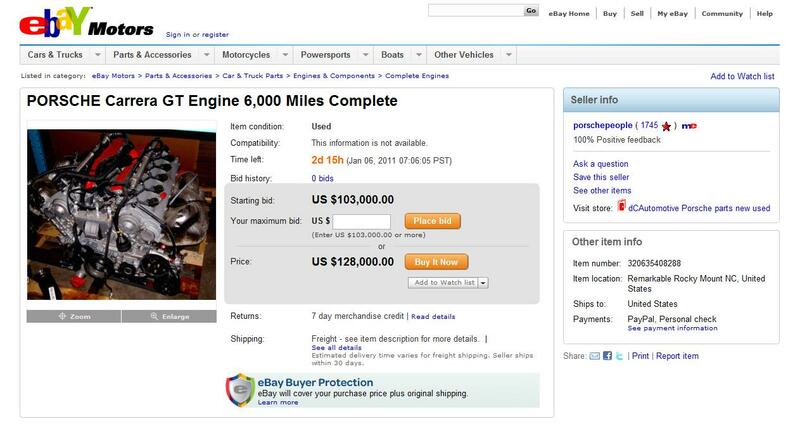 On dC Automotive’s homepage, it says the engine has clocked 4k miles…. a Cayenne. Would some rich enthusiasts in the Middle East or Far East, give it a try? But the starting price of Carrera GT engine is from USD100,000! WTF! comes with body, interior, transmission, wheels and so on!